Choices for Salads and Sides are listed under the FOOD tab on our website. One Entree with choice of 2 salads and/or sides with pita wedges. 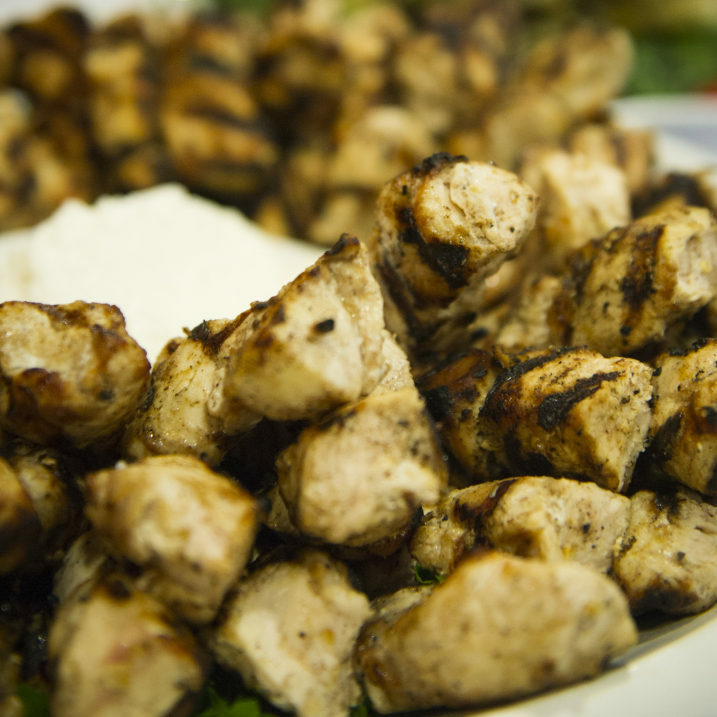 Choice of pita sandwich or oven specialty pie, 2 salads and/or sides and baklava. Choice of 4 salads and/or sides with pita wedges. One Entree with choice of 3 salads and/or sides with pita wedges. One Entree with choice of 2 salads and/or sides with pita wedges, dessert and beverages.